Mr. Notes is the first in a series of clowns sculpted by American doll artist Pat Thompson for Vlasta dolls. This piece is #59 of a limited edition of 250, and stands 18 inches tall without the hat, and just under 25 inches tall from the base of the stand to the pom-pom at the top of his hat. 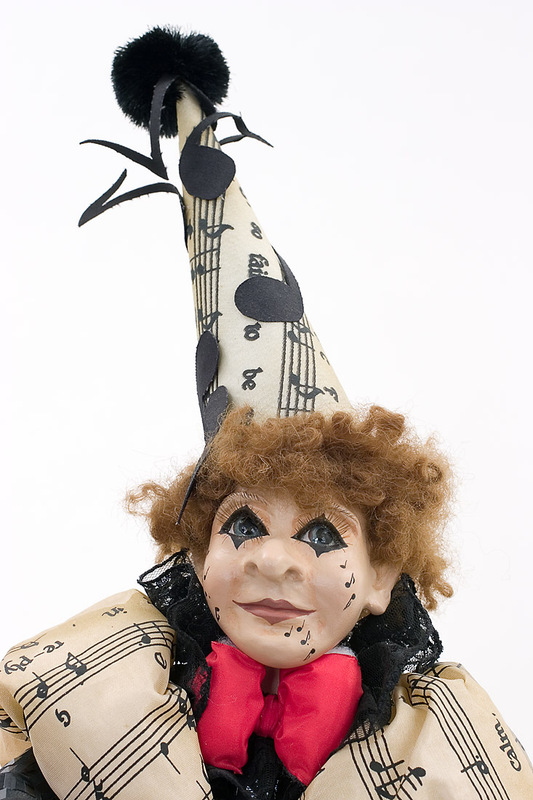 Mr. Notes is named, of course, for his costume of Musical Notes printed on Morie and painted on his shoes, face and hands. He is a nutty, note-y, natural clown with a generous nose, a gentle smile behind the lipstick, and a genuine heart which brings a tune to his expressive eyes. He has inset eyelashes, a wooly wig and shiny black patterned leg, arm and bodice fabric which is made in France. The artist has created this posable piece with the medium of cultured glass, which she herself developed using pulverized glass and resin slurry, in order to be able to render more detailed features, especially to the facial countenance of this clown as well as other Vlasta pieces. As usual, Pat Thompson's exceptional creative talent is evident in this creative character. This piece is a rarity. 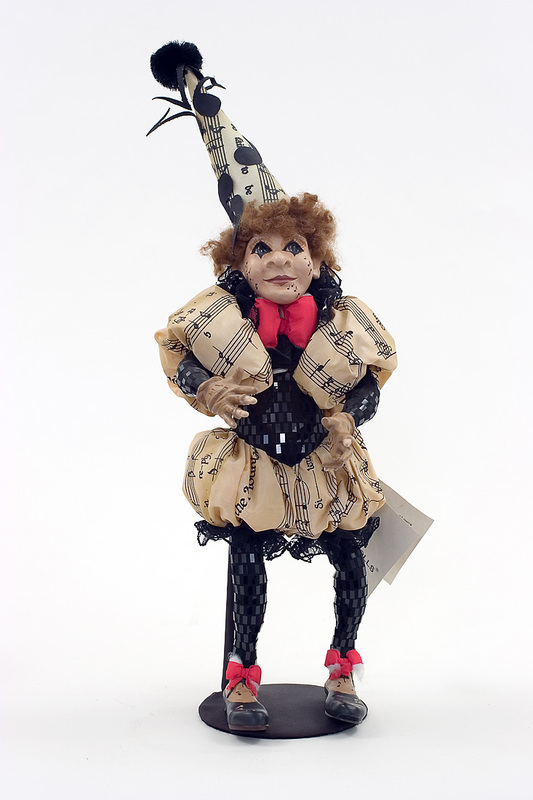 This doll's hangtag is signed by the artist, "Best Wishes, Pat Thompson."